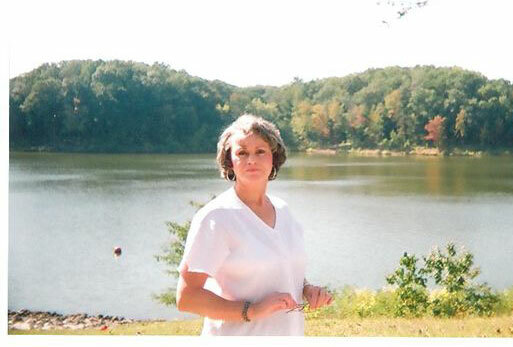 his is Part 2 of the amazing and shocking testimony of Debra Hunter Pitts, who grew up in Butler County, Missouri in the 50s and 60s - a major Satanic part of the United States at that time, where human sacrifice was happening every day. Debra, being a music prodigy, got involved in the music business at an early age and came to know Eric Clapton and Carlos Santana already as a girl of 13. For a more detailed presentation on Debra, go back to Part 1 of this interview. If you have not done so already, please start with reading Part 1 before digging into this one. This way you can get the full understanding of what these important interviews are all about. 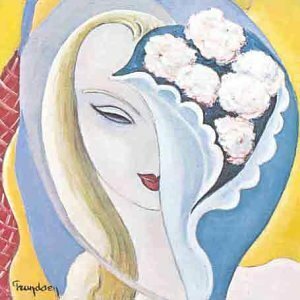 In Part 2 we will concentrate on the true story about the 1970 hit song "Layla", played by "Derek and the Dominos", where Eric Clapton was the front figure. The official story goes that it was written by Clapton as a love song, but as we shall see, the song was not written by Eric Clapton at all, but Debra wrote it for Clapton on his request. Moreover, it is not only a love song, but the lyrics also hides a murder story. 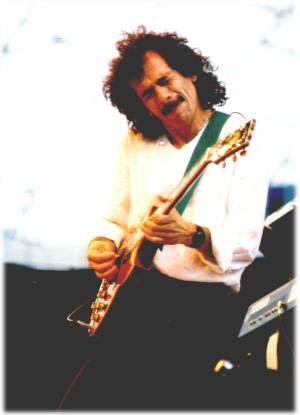 In the presentation of Debra Hunter Pitts in Part 1, we learned that she was closely connected to both Eric Clapton and Carlos Santana, has kids with both, and that the three of them worked undercover in a group called Militia One, to halt an Illuminati coup (by Debra referred to as the Nazis) against the United States. There were a lot of other celebrities involved in the Resistance as well. Debra was also interviewed earlier by the researcher and radio host Greg Szymanski on May 23, 2007. The interview can be listened to and downloaded online (if this audio file will disappear from that site, please contact me, and I will email it to you). Wes: You indicated earlier, in Part 1 of this interview that there is a very important and interesting story behind the 1970 hit song “Layla”, which became a classic and is still played frequently on the radio stations. The alert reader has probably already noticed that you also go under the name Layla Cries. Who wrote this song “Layla” and how is it related to you? Debra: The true story behind the song "Layla" is not exactly secret to the media but it hasn't been put in print before so I'm going to set the record straight. When I met Eric he gave me the nickname Layla and said it was the name of a woman in something he had read. I told him I would use it for my stage name since it was my nickname, and I told Carlos to call me Layla too. When Eric wanted me to put out an album about a year later I needed a last name for it so I picked Cries. The reason I did is because all of us cried so much over the Nazi entrapment. On one of Eric's trips to my hometown he came by the school to see me like he usually did. In a casual conversion I told him I planned a lovechild with Carlos Santana but not for a couple of more years. Eric wanted kids more than any man that I ever knew and he was heartbroken that I didn't want a child with him first. We talked about the future and music and children. I told Eric, "If any Nazi hurt my lovechild with Carlos I'll kill the Nazi scumbag for that. They are not going to destroy my children the way they destroyed me." As we talked about music he asked if I would write him a song. I told him I would and I'd make it a good one so it can turn out to be a rock classic. I wanted to prove I knew the ropes in the biz and knew what kind of song would have a lasting impact. After all I was a child musical and mathematical prodigy that the Nazi liked to see some talent from once in awhile. I went to my class and wrote the song as fast as I could because I wanted to give it to Eric after that class so he could go on about his business. I wrote for the title Baby but didn't like it. I thought I'd just put my name on it so I erased Baby and put Debi and didn't like that either. So out of the blue it just came to me that I had a real pretty stage name so I erased the title again and wrote Layla. I handed it out the window to Eric right there at school. I said, "It's sold to you for one kiss. Just don't say you wrote it for any girlfriends. I'll show you how to sing and play it after class." I showed him how to sing it to evoke the raw emotion of a man torn by a painful secret. He wanted a slow version and I insisted my version had to be first and then someday he could do the slower version. I made it clear that once the Nazi exposure was complete (1984) that he was to start to credit me as the songwriter. 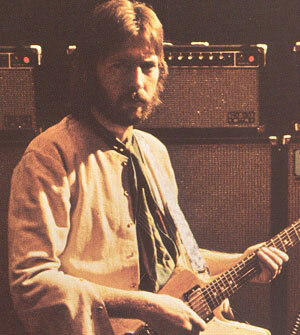 Wes: When I research the song Layla, it is still credited everywhere to Eric Clapton as being the composer. Did he ever credit you after 1984, and if so, did the Media refuse to acknowledge it? Or did Eric neglect to credit you in public? If so, why? Debra: That's one of the reasons I'm slightly upset with Eric. He was supposed to start crediting me in 1984. I don't know why he hasn't, except the FBI are refusing to let us tell the truth about any of this, and no, he never credited me. In the future, though, the public will see our private films that were never released, where we discuss me writing "Layla." 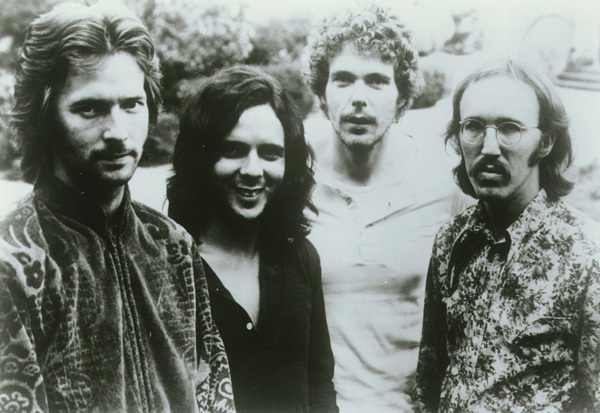 He also hasn't mentioned yet that he let me name his band at that time, "Derek and the Dominos." Our first argument was over how to spell Layla, how to play it, and how to spell Dominos. Eric said the band had been incorrectly introduced by a different name. Someone in the band liked the other title better than Dominos and suggested they change it. I told Eric that he had told me the only thing he knew for sure is he wanted Dominos in the title. He said that was right and he told the guys in the band to go to hell - the bands name was not changing. The entertainment and news media never refused to acknowledge me. But remember they had tons of old footage of their own that they are not allowed to go public with yet. I don't think Eric neglected in acknowledging me, I understand he is being silenced by force, we all are. I'm going ahead with my plans to write a book and my new manager is encouraging me to get busy on a documentary. Wes: Pattie Boyd’s name pops up here and there when you research the background of this song. Who is she, and what is her relationship to “Layla”? Debra: I don't know why her name pops up unless she is spreading it around the web herself. If she's obsessed with Eric, that's not cool. I understand that some amateur writers are assuming that she connects with the song, but that's because the truth hasn't come out. That truth will come out as this interview proceeds. She is Eric's ex wife, and before that, George Harrison's wife. She has absolutely nothing to do with the song "Layla", other than Eric lied to her when he said he wrote it for her. I have never heard of any media calling her Layla, it's a surprise to me. After he married her in 1979 it actually became a joke to all of us including Eric, that she thought she was the Layla in the song. I don't think Eric ever told her we were undercover because she couldn't be trusted. I have met her a few times in Texas, where she went to interfere with the undercover work that Eric and I were doing with Interpol agents. The agents were recording the incidents so I told them to let it "leak" to the media when the time is right that she had risked our lives. That's the reason the media didn't want to hear from her for all those years. The first time she pulled that trick she brought Bianca Jagger with her. I think Mick [Jagger] and her were already divorced. I told Eric to talk to Mick and put a stop to that, because I thought it wasn't Bianca's fault. I don't think I ever heard anything else about Bianca. The paparazzi knew me by my stage name Layla Cries, because that's how I was introduced, so that's what they called me when they wanted me to turn for a photo. Eric and Carlos would remind photographers not to make photos of me in public. But the clubs we were practicing in could put photos of us on the walls in glass cases with locks. So don't think for a minute that the media don't know the true story behind the song "Layla", because they do. I'll call Eric and his ex wife both a liar until this is out in the open and I am officially credited. Wes: When you causally read the lyrics to “Layla”, it just looks like a regular love song, but there is much more to it than that, from what I understand. Am I correct if I imply that this song is actually revealing a murder story? Debra: It was tricky for me to write about a murder and make it sound like a love song but that was my plan and it worked. At the same time the song had to be made to be sung from a man's perspective. Eric brought me a copy of the album "Layla and Other Assorted Love Songs", but I signed it and gave it back. I was mad at him so I wrote on it, "If I ever fall in love you'll know because you'll be there." The heart shape on the album was ok as it was how I signed notes to Eric. I even had looked up heart shapes so I could find one that I wanted as a signature tool to go with my Layla stage name and liked having it on the album. I told him the title was too long and I asked why the cover had a blonde on it. He said something about blonde hair looked better than brown hair on the album so I let it slide... for awhile. I reminded him after that, the song is not about a girlfriend but about a crime, one that hadn't happen yet and would not for two full decades after the song was written. Remember what I said when we were discussing me naming his next band? It was "Derek and the Dominos" and he asked me to write him a song. The other conversation that day was about having a lovechild. Remember what I told Eric, "...if the Nazi hurt my lovechild I would kill the Nazi scum?" Eric and Carlos said the same thing, that they would kill the scum that hurt their children, because what the Nazis did to us they were not going to do to our children. Wes: You say the murder case you were writing about in “Layla” didn’t happen in reality until 20 years after. Which murder is this song actually talking about? Debra: The media knows the murder story involves Eric and I, but even they don't know the song "Layla" was futuristic in meaning. The song interpretation ties in with what I'm revealing and is truly exclusive because Eric hasn't made this public yet. I've explained the conversation between Eric and I about writing a song and having children and what we said about killing the Nazi that hurt our children. The song has to be read between the lines to understand the meaning. It doesn't just say someday a killing's going to happen; if it did it would ruin it as a love song. After 1984 when the FBI got involved in halting the coup, they refused to allow any of us contact. They said I had to shoot the Nazi scum I married who had destroyed and abused my lovechild with Carlos. The Nazi I lived with, Jack (learn more about him in Part 1), was going to kill his wife and make me marry him, so I needed someone stupid to marry instead, and a guy named Bill Pitts was stupid enough to talk into getting married; of course his family thought they were going to get rich off of me too. Soon I came to know that they thought if I 'disappeared', they could claim royalty money and sue Eric for certain videos, but Eric is one smart cookie. (plus I had Carlos get a paternity test the first day of kindergarten for William, my son. That ruined the in-laws' chance of ever getting any cash (think they weren't a wee bit mad?) And I needed to leave town and move away; I don't think they would let that happen unless I married one of them. Interpol told me his family was involved, but he never told me. Even on the way to Texas they tried to kill us; they will kill their own. William was one week shy of 16 when Bill died and spent his whole childhood saying he's gonna kill him when he's big enough, and I'd tell him, no your not! I'm going to do it for you. The FBI promised me a no bill but I called them liars and refused to do what they told me for a few years. I even tried to get Eric to shoot the scumbag for me, but he wasn't allowed to. So in 1990 they had Eric to bring our kids to visit me so I could see them for a few minutes. The FBI was using our children as pawns to do what they told me and it broke my heart, but it surely worked on convincing me to do everything the FBI said. So in 1990, when I shot the Nazi scum, I expected to see my family like I was told, but after all these years they still deny me access to my family. They also refused to allow Eric to explain to me why they continue to keep this covered up. The media, which includes the entertainment media, have turned their back on us for too long. They should have offered to help exposing the FBI, who are actually victimizing all of us without explanation. We're not allowed phone calls or letters and when I see Eric it is out in public and he is in disguise and we are only allowed to speak for a minute. I'm surprised that of all that we have been through that he hasn't been the one to tell the FBI to go to hell and brought me my children to visit me. Comparing my story to Wayne Morin is what made me know your site is the best place for me to come out with the truth rather than anywhere else. I cried for Wayne because of what the government did to destroy him. I can tell by his tapes he's not crazy, but a very destroyed person because of the way the court system is set up. But he was destroyed in a different kind of way than I was. I saw the system when I was appointed one of the best lawyers in Texas, Jack Strickland. I was set up to make sure I got acquitted eventually because I was a lover to two very famous people. One of the tricks of the trade was to send me to the Vernon State Hospital for the minimum of sixty days, also set up by the FBI and our scam of a court system. I was new to how that end of the system worked and didn't like it. The system could benefit high profile people in a different way than the average citizens who many times paid a huge price with their lives. Wayne Morin was one of the saddest stories of legal abuse I've ever heard of outside of the Nazism that I survived. The point I need to stress here is there's no free press out there to approach us and say, "We're going to help you get the truth out." Wes: Thanks, Debra. I really appreciate that you open up here for me so the truth can come out. Now, is there anything else you want to tell us about "Layla" before I go on with a few questions I have had in mind as well? Debra: The terms I used in the song were based partly on a daydream, but the word situation was how we referred to the coup. The song is entwined stories making it complicated to describe. It's my favorite song that I've ever written and I couldn't have been prouder. Carlos wanted that song real bad, but Eric had asked for a song, which was the reason I wrote it. My next favorite I wrote about the same time, in 1970, a song I titled "My Missouri Valley". The song was sung beautifully by someone else at the homecoming game a year of two later. 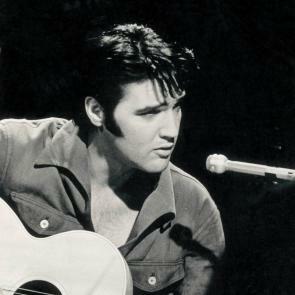 I was flattered that Elvis Presley came to see the first singing of the song in my hometown. Wes: It is an amazing story you are telling us. This has been covered up and the truth kept away from the public by the FBI, the Interpol and the Media so effectively all these years. And there are those telling us that a few people can't control the world? Now I'm curious about another thing: you said in the first part of this interview that you made a movie in 1984 to expose the US Government. This movie is an important part of it all, so can you give some more details on that? Debra: During one of Eric's visits to Ft. Worth in the summer of 1984 he said everything was in place for a party that was also going to be a movie. He told me that people from Hollywood would be there, including a Hollywood producer and some of our singer friends. Eric and I and his friends were referred to as "The New Rat Pack". I'm not really sure who named us that, but I think it was Frank Zappa and ZZ Top. Eric said all they were waiting for was for me to give the go ahead if I thought I could do the show without missing a dance step. I told him to set the date, and as it turned out, Eric set a date in July. In order to have so many famous people there, we pretended the party was my birthday present. Eric pretended he was presenting me as being ready for the stage life. The Nazi crime families allowed us to do the show with the understanding that they were on the verge on making big money of me. Everyone was in place for the role they were to play without a script and Eric chose a singles bar named "Players." Eric and I played the leading roles. The plans went smoothly and when I got there Eric was on stage singing "Cocaine." As I went into the building he stopped singing and called me Layla. I went on the stage with him and we sang a duet that we had sung for all those years titled "Someone Like You." Eric then sang a couple of numbers to make videos out of. I was in some of them: "Before You Accuse Me," and "Lead Me On". Then we did waltz and ball room dances where I danced with Eric, Carlos, and Bob Jones [the Interpol Agent, see Part 1 of this interview, Wes Penre]. I did my comedy routine and with that part done we just talked and people quoted songs. One of my lines in the movie went like this, when I am talking to Eric: "Who's turn is it to beat up your wife yours or mine; just write it in your next love letter." Wes: Really? Why did he do that? Doesn't that seem kind of odd? Debra: It was! What I didn't know at the time was that the Iran Contra scandal had been going on for about a year or more. I think Interpol probably knew about that as they were watching our government. Shortly before that, maybe in the late 70s, some kind of yet undisclosed turmoil was unfolding in the area of Iran. We had CIA there of course and some Americans were taken hostage. Right after that Reagan took office and we began, (if not sooner) making bombs. I know that because I was a factory worker and a heat treating company needed someone that could work part time. The metal that I was testing for hardness with a zerominder tester was the detonators for the bombs. I had to estimate the number of detonators I was seeing go through the factory each month and it was about a million. While I was on the job we dropped a few of them babies in the middle east but not many. I knew we were going to end up back over there as we continued to make bombs for a few years that I know of. Then in 1990 we went to Desert Storm and I knew we still had plenty of bombs left so I knew we were going back. We're there today involved in the desert war version of Vietnam. The point I'm getting at is I couldn't figure out the real reason the president called me. I thought he actually thought that we were going to get to the subject of the bombs I knew we were making and expose Iran Contra. Now I have run across info that says he was briefed on UFOs in 81 and made remarks about them about three more times as a matter of record. I may never know the real reason he called. When Iran Contra went public a few years later, I think about 89, I thought that was the reason he called; fear that we knew and were going to expose that in our movie, but we had something more important to expose that night. "Thank you for what you said; In the name of National Security I can't discuss UFOs." - Ronald Reagan to Debra, July 1984. Debra: Well, there were some fights in the movie that were real fights where a couple of Nazis got beaten up. Of course we left those fights in the movie. The theme of the comedy was that I was the one that was unknown but talented and had a lot of famous boyfriends. I was to choose a lover to marry in the movie; Eric, Carlos, or Bob Jones. It was an all star cast and it was what I call the heist because the Nazis never made money off me. We had good music, good dancing, good jokes, and good fights in the show. The night went smoothly just like we planned. We had national and foreign media and satellite setups and it was lights and cameras lined up on the highway as far as we could see. It was a once in a lifetime deal, and anyone that was there was really excited over the prospect of exposing the organized crime. That is what the Nazis in the building with us didn't know, that they were being exposed for what they were. That is why the media was there, because they knew we were entrapped and doing something that would lead to a halt of the coup. The media has always known about the coup in the US but it could not be public before 1984. Now there's the problem of the media still silent after all these years since the movie was made. Now, what exactly did you do with the movie once it was made, whom did you give it to, and who is in possession of it now? Debra: I don't know why the movie was never released, unless it's because of the cover-up, but the producer will have the original. The FBI agent Jerry Smith approached me shortly after and wanted a copy of the script. I told him there was no script. The media have copies of the movie, including Jane Garrity of NBC, which was the local news media. NBC was allowed to stay in the room for the complete movie. One of the other station's anchors named Clarice Tinsley was said to be a Nazi and I think she wasn't' allowed inside; I'm not sure who told me that. Rolling Stone Magazine was there; ET's Mary Hart was there, and I don't know if MTV was there; both those shows where new back at that time. Also the local District Attorney who was a Nazi was allowed to be there, but I didn't ask what his name was. Wes: How did you present the movie, so that the Nazis could be exposed? Debra: Hollywood and the music crowd made the plans, and all I had to do was discuss a few things with Eric and Carlos. Then with a date set everyone involved knew what they would want to say or do in the movie. The Nazis didn't realize they were being exposed and they couldn't kill us on stage because too much media was there. They didn't trust us but they were being tempted with multi million dollars worth of royalties. So they fell for it to allow us to get together that night. Greed really did bring down the Nazis. With cameras rolling, the Nazis harassed us even while we were on stage. They yelled, tried to distract us and made terrible remarks to make us miss a step or fall. While we were sitting and talking they would try to hit us, so the fights in the movie are real fights. They were showing and proving to the media that they controlled us, and we were proving they're not for that one night. So when the public see it, and eventually they will, it is all real stuff but it was a pivot point in our goal. I know when people see someone famous like Eric they think in terms of music. When I saw Eric I thought in terms of one of my men being very important to the covert unit. I don't want to sound cold hearted, but I used to worry that if he OD'd on drugs it could be accident, suicide, or murder and we would never know which. It would also have been a set back in our endeavor as the plans would have changed if any key players died. Wes: Now, can you tell us the details on what the movie was about and what made it so revealing? Debra: I think of it as a duel or parallel movie, and we accomplished two missions. We made a romantic comedy that's worth a fortune as a money maker that appeased the Nazis. It was a one of a kind movie that had never been done before, as we had no script but a lot of good music. The main agenda was to allow the Nazis in the movie with us to interfere so people can see what we were going through every day of our lives. They were being exposed in a round a bout way and they got nervous and tried to ruin the show for us. Wes: So if I understand this correctly, you let the Nazis participate, being themselves in a revealing way? My question then is, if you used this movie as proof of a conspiracy and a coup taking place, was this evidence enough? Couldn't the participating Nazis after the fact just say they were told to play this role and that they've been set up? Or something similar, which would put reasonable doubt into the picture? Debra: Yes the Nazis were allowed to be in the movie, there was no getting rid of those psychopaths anyway. There was a ton of evidence already gathered up for fifteen years with no one to trust to hand it over to. The Nazis actually were set up and we learned how to do a set up from them as they constantly set us up for falls. The entertainment media knew as well as the news media that we were not all equally free. Some of us were - well lets be blunt about it - we were referred to as slaves. All the media knew not to put certain info out there for the public. It was such a huge undertaking that it was mind boggling. Anytime Eric or Carlos or anyone else told the paparazzi not to make a photo public they respected that. We had put out word that an assassination was going to happen that night during the movie. We had to have a good reason to allow all that media in there and it worked out fine. By being there, the assassin couldn't carry out his deed, but there was no assassin anyway. The media waited a good many years for everything to fall into place. They were perfectly behaved and aware that on that stage something more than a song and dance was going on. We were secretly performing a historical military maneuver that someday will be made public. It's difficult for me to put some of my story into words because I spent a lifetime silent in order to keep people protected. I kept foreign agents so covered that no one ever knew they were here until they revealed themselves in 1984. Wes: Did you meet with other celebrities as well, and if so, in what way were they involved? Debra: Each celebrity played themselves in the comedy. I may not remember all of those who where there but I do remember some: Tom Petty, Andy Warhol, Mickey Gilley, Willie Nelson, Robert Cray, the lovely Goldie Hawn, Grandpa Jones (Hew Haw), Keith Richards, Mick Jagger, and BB King. I don't remember any of The Beatles being there but I think the lovely Yoko Ono was there. Also one top secret rock star that people thought had died but was still alive was there and of course Eric, Carlos, and myself. The lovely Mary Hart of ET [Entertainment Tonight, editor's note], which was a new program at the time, was there too. And last of all but not least is the lovely Farrarh Fawcett whom I pray for all the time. I hope others are praying for her as well, in her struggle against cancer, as we all know someone affected by that terrible disease. BB King was one of the all time favorites to all of us and we were proud that he was our pied piper of skinny white kids. 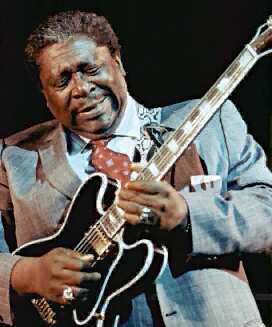 All of us learned to do our musical blues in life from his inspiration. What was good about BB is he actually liked us young ones and watching us grow with individual interpretations of the blues. In fact my first encounter with music other than gospel was BB on the radio and I reckon it was the late 50s or early 60s. Grandpa was trying to find a station without static and I heard some new sounds. He said it was BB and it was called the blues. I told him I have to have some of that kind of music in my life. I've loved the blues ever since. I feel fortunate that I had a sample of that when I was very young because it helped mold me into the kinds of sounds I wanted to learn to produce. With gospel being my first musical passion in life, I continued to explore the possibility that not all music was devil music. We were hearing that back in those days about the new music like The Beatles. At the time I didn't realize how true it was, but the Satanist had infiltrated the music scene as well as Hollywood. I was learning that while I was still a school girl. I also learned it was not The Beatles that were devils, or their music. The real culprits were in the shadows behind them, out of sight; the unseen crime families with sinister intent. Back in those days Hollywood was the Mecca of mammon to the Nazis and they were a greedy lot. They would sell your soul to rock and roll and your children's too. They would warp your mind with a very intense control and even tell you not to think. A few more folks I met, some in Missouri and others later after I moved to Texas, were Bill Murray (comedian), ZZ Top, Frank Zappa Sr., Stevie Ray Vaughn, Rod Steward, Phil Collins, Hank Williams, and the lovely Carly Simon. Carly came to meet me while I was in high school and said she heard that someday I'm going to name a daughter after her because I just loved her. Carlos and I have twins named Carlos and Carly. I think on that trip to Missouri was Carly, Duane Allman, Eric, Carlos, The Beatles and Pattie Boyd. In fact I think it was my first meeting with Pattie Boyd and I didn't know who she was. But she kept saying something under her breath while staring at me. I told her off and asked Eric who the blonde was, and he said she was George Harrison's wife. 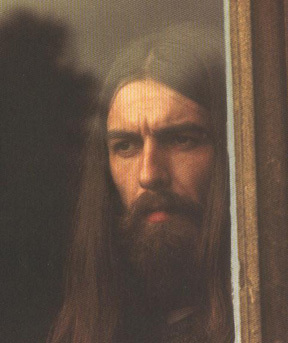 I think I told him not to bring her around anymore because I didn't have time for jealous games and I didn't want George anyway. That's when he said it was himself she was jealous over, not George. From then on I thought she was obsessed with Eric. But worst than that was that she dedicated her life to following me and causing trouble; she even screamed that I can't use Layla for a stage name. She also would nag about how much her clothes cost and that she was rich. The reason I mention that is because there were missing kids out there for me to concentrate on; I really didn't have time for that nonsense. Me: Tell me in one word why you married that? Eric: No I mean prestige, she was a Beatle wife. Me: She might get some prestige but you sure the heck won't. Couldn't you find someone beautiful? Couldn't you find someone intelligent? Couldn't you find someone with some decency, and I hope this a short term thing. That's how I knew he wasn't in it for life. But when we got ready for the movie, I told him something else people don't know. "When I walk in Players she better not be there and if she's there, I'm walking right back out and you won't ever see me again." She wasn't allowed to be there and Eric wouldn't put her in videos. I didn't exactly meet the band Police, but they played at the Pavillion some time in 1979, or after - I can't remember, in Arlington, Texas. One of the undercover agents asked them to play a song that he could dance to with me and they introduced me as Layla, the girlfriend to Clapton and Santana. I think what we danced to was "Roxanne." They wanted me in front of the stage for the dance and I didn't ask why. I did everything I was ever told with a simple response of OK or trust me. Eric's name undercover was Boss but it was also the nickname of the agent in charge of all of us, Bob Jones. Carlos was the Mexican and mine was the Pro. Bob Jones named me that because I survived by knowing how to mentally deal with the Nazis, and it meant being psychologically professional.